Royal Bliss is coming back to ENVY Nightclub and Lounge. This acoustic concert is a must for the true Royal Bliss fan! Call Toby at 1-801-231-3096 to reserve a lower table, VIP is SOLD OUT! 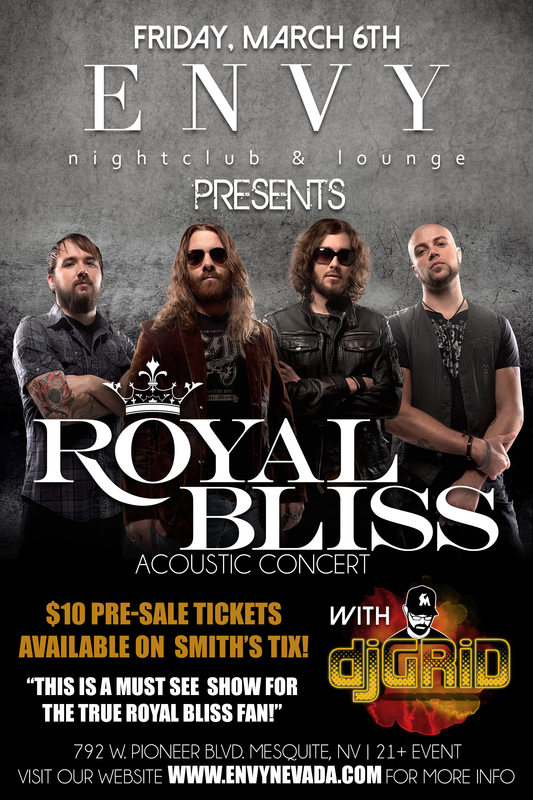 Don’t miss your chance to see Royal Bliss in concert.